If you are still looking for a quick dessert you can bring to your Thanksgiving feast, I have a great one for you. 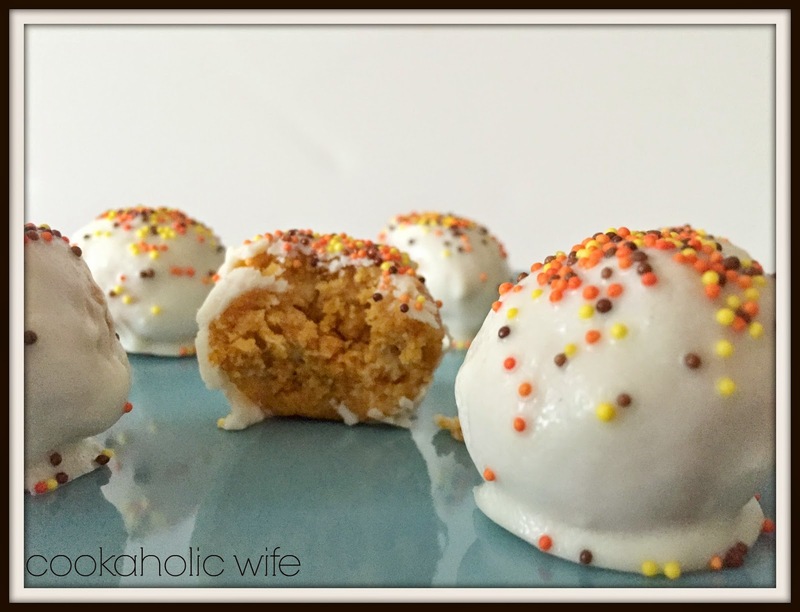 These pumpkin bites are super easy to make and don’t take up much time at all. Plus, the smell in your kitchen while this baking is just heavenly. Seriously, it really is. 3. Pour the cake batter (it will be thick) into a 9×13 greased baking dish. Bake according to boxed directions, usually between 24-32 minutes. 4. Let the cake cool to room temperature. While the cake is cooling, let the cream cheese soften to room temperature. 5. Break the cake into crumbly pieces and add in the cream cheese. You can either do this by hand or with the beater attachment in a stand mixer. Make sure no large lumps of cream cheese remain. 6. Line a large baking sheet with parchment paper. 7. 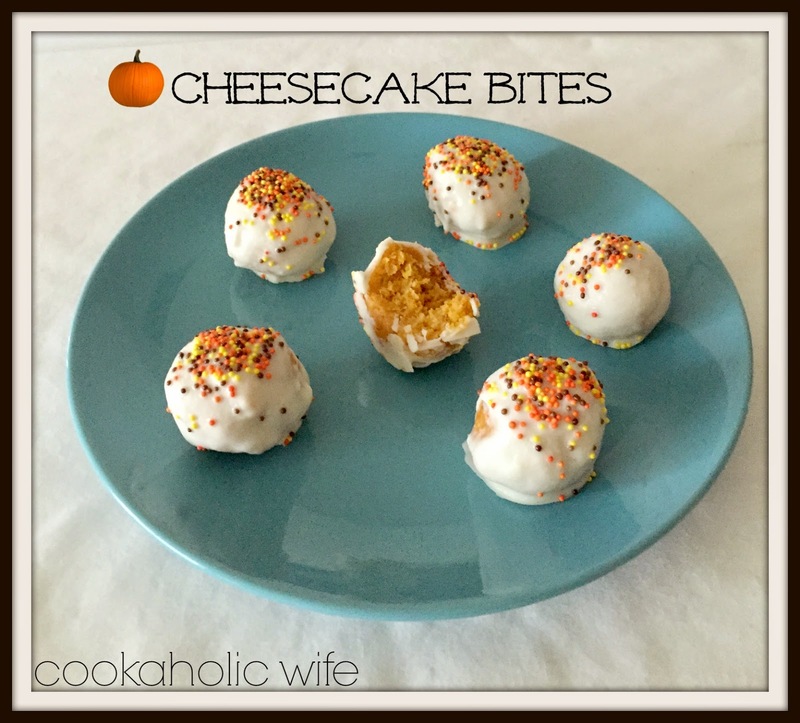 Roll the cake and cream cheese mixture into 1 inch balls. Place on the prepared baking sheet. 8. Melt the vanilla almond bark in the microwave (microwaving in thirty second intervals and stirring until smooth) in a large bowl. 9. Using two spoons, drop each cake ball into the melted almond bark and toss to coat. Allow excess to drip off before returning to the baking sheet. 10. Decorate with sprinkles, sanding sugar, etc. 11. Repeat steps 9 and 10 until all cake balls are coated and decorated. Aren’t they cute? They can be stored in an airtight container in the fridge for up to a week! Weekly Menu 11/30 - 12/4 & More Free Printables!